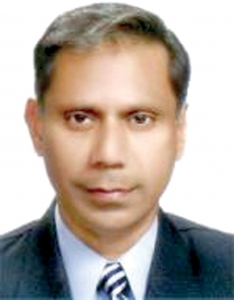 Whenever a new government is elected in Pakistan, it makes peace overtures towards India. Prima facie New Delhi welcomes the move but some Indian vested interests, who do not want to see peace in the subcontinent, put a spanner in the works to sabotage the peace process. Imran Khan too, in his victory speech, made an offer for peace talks with India and proposed taking two steps forward to India’s one step. 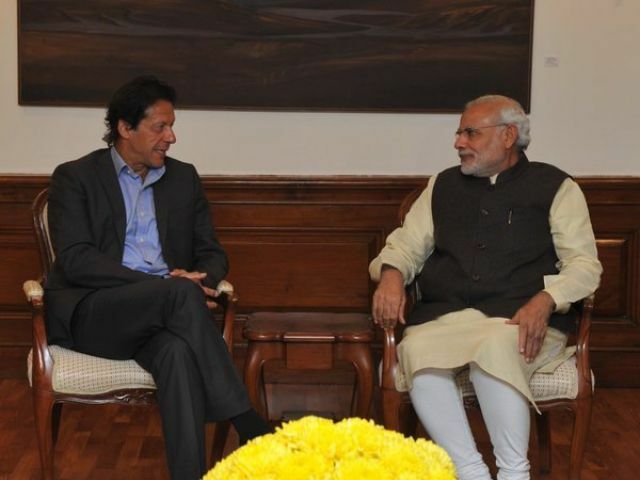 Prime Minister Narendra Modi also made a historic telephone call to congratulate Imran Khan at his victory and looked forward to peace between the two estranged neighbours. If any euphoria was created, it was short lived because the detractors of the peace process in India came into action. On the eve of India’s Independence Day, on 12 August 2018, thousands of Sikhs thronged the Trafalgar Square in London to demand a sovereign state of Punjab as several hundred Indians celebrated Independence Day in front of the National Gallery just outside the Square in a separate rally. The pro-Khalistan rally, called London Declaration, was organised by US-based Sikhs for Justice (SFJ). The purpose of the rally was to kick-start a campaign for a non-binding referendum on Punjab’s independence in 2020. The protesting Sikhs, who were joined by some separatist Kashmiris, waved yellow Khalistan flags and carried placards saying “We will re-establish Punjab as an independent country” and “Punjab Referendum 2020 for Khalistan”. The plot to destabilise Imran Khan’s peace initiative was launched five days before the rally when the Indian daily Times of India in a news report titled “Imran Khan ‘exposed’: Pak’s Lt Col ‘planned’ pro-Khalistan movement in West, ISI ‘backs’ anti-India rally”, reported that despite Imran Khan’s claims of wanting to maintain friendly relations with India, Pakistan still seems to be plotting nefarious plans to disrupt peace there. Indian intelligence sources have claimed that Pakistan army Lieutenant Colonel Shahid Mehmood Malhi allegedly planned the pro-Khalistan “Referendum 2020” movement which was initiated in Canada and Europe. Basing its exposé on dubious sources, the daily claims that the 12 August protest rally was organised by a US-based rights group, Sikhs for Justice and is being managed by Paramjit Singh Pamma, wanted for his pro-Khalistani terror activities. Pamma is a member of banned outfit Babbar Khalsa. He is wanted in India for his alleged role in the blasts that took place in Patiala and Ambala in 2010. Pamma, who was arrested in Portugal in 2015 but was not extradited, is also accused of killing RSS leader Rulda Singh. However, the decidedly “anti-India” event has been allegedly funded by Pakistani’s spy agency, ISI. As per the report, Indian intelligence officers (presumably belonging to the infamous Indian spy agency RAW) have claimed to have retrieved documents from Lieutenant Colonel Malhi’s computer that provided a detailed roadmap for the “Referendum 2020” event. The daily had also accessed certain documents that indicate that Pakistan’s spy agency was working with select groups based in Pakistan and elsewhere. Lieutenant Colonel Malhi, known as “Choudhary Sahib” within the Pakistan army, was reportedly leading the ISI’s Lahore detachment, tasked with funding Punjab-specific activities in 2015, Times of India quoted senior Indian officials as saying. The officers believe that he might have had a role to play in the targeted killings of several Hindu leaders in Punjab over the last two years. The documents accessed by the daily revealed that purportedly ISI had even allotted a codename to the Referendum 2020 initiative – “Operation Express”. The sleuths have claimed that the ISI’s Lahore detachment supervises the activities of Pakistan-based Sikh militant leaders and also funds several Punjab-specific activities. The daily reported that documents also contained a supposed internal communication between Lieutenant Colonel Malhi and his superior officer, in which the date for launching the Referendum 2020 was mentioned as ‘June 6, 2020’, which will be the 36th anniversary of “Operation Blue Star”. Readers may recall that “Operation Blue Star” was an Indian military operation carried out between 1 and 8 June 1984, ordered by Prime Minister Indira Gandhi to remove Sikh religious leader Jarnail Sigh Bhindranwale and his armed followers from the buildings of the Harmandir Sahib complex in Amritsar, Punjab. “Operation Blue Star” was planned on a Sikh religious day — the martyrdom day of Guru Arjan Dev, the founder of the Harmandir Sahib. Sikhs from all over the world visit the temple on this day. Many Sikhs view the timing and attack by the army as an attempt to inflict maximum casualties on Sikhs and demoralise them, and the government is in turn blamed for the inflated number of civilian casualties by choosing to attack on that day. Bhindranwale, along with his devout followers and hundreds of innocent Sikh pilgrims, was massacred by Indian troops. Apparently the Sikh independence movement was quelled. Four months after the operation, on 31 October 1984, Indira Gandhi was assassinated in vengeance by her two Sikh bodyguards, Satwant Singh and Beant Singh. Public outcry over Gandhi’s death led to the killings of more than 3,000 Sikhs in the ensuing 1984 ant-Sikh riots. Sikhs have not forgiven Indian government for the massacre of their brothers and sisters and sworn to gain independence for themselves. The organisers of Referendum 2020 Sikhs for Justice Group have denied involvement in any “international conspiracy” and have claimed that they have only asked for rights guaranteed under international conventions. It is unfortunate that whenever a peace initiative kicks off from Pakistan side, a controversy takes birth in India. There is a large Sikh Diaspora settled in Canada, US and Europe who are claiming a separate Khalistan since ages, a demand that cannot be easily made by Sikhs living within India for obvious reasons. An indigenous movement named “Sikhs for Justice” launched a virtual blitz on Social Media for 2020 Referendum in 2014. Since then, processions by Sikh community across the world for separate homeland are ongoing with more vigour and have got nothing to do with “the plan of a Pakistani Lieutenant Colonel”, which is a totally absurd idea to undermine latest peace initiative from the designate PM of Pakistan. Indian spy agency RAW should stop creating bad blood between Pakistan and India like it does with its false flag operations of alleged terror attacks on Indian military establishments and laying the blame on ISI and Pakistani armed forces.